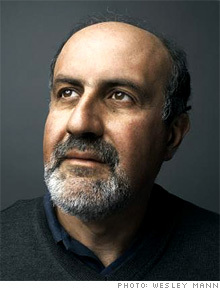 Nassim Taleb will be speaking at an upcoming Author Event held by the Free Library of Philadelphia (FLP) on Thursday, November 29, 2012 at 7:30PM. The cost is $15 for General Admission, and $7 Students ($USD) and is on at Central Library (1901 Vine Street, Philadelphia, PA 19103). The talk coincides with the release of his new book and bears the same title: Antifragile: Things That Gain from Disorder. View the event on the FLP Website.